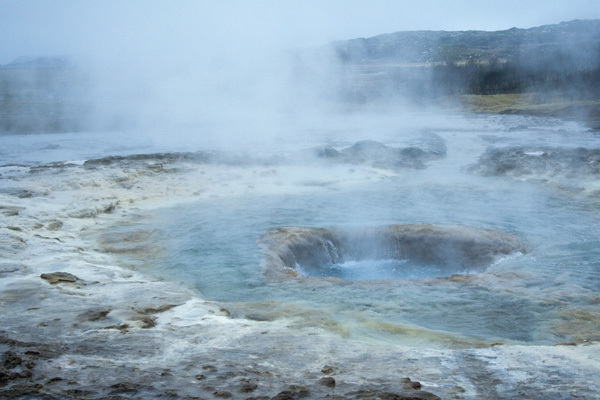 Strokkur is the only active geyser in Iceland. Every 3 to 9 minutes there is an eruption, up to 90 ft in the air. This image is as it has stopped and the water subsides into the open crust. The colours were incredible.